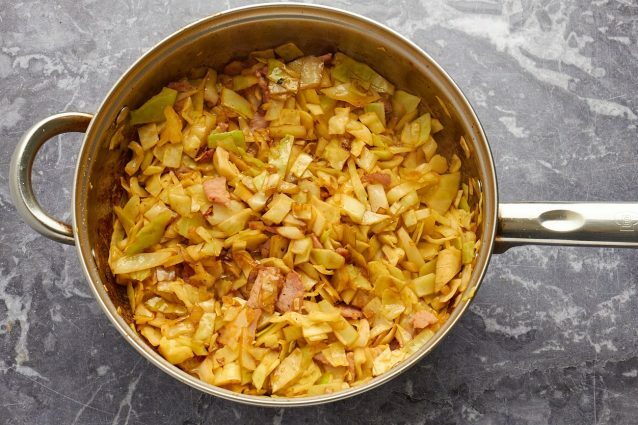 This fried cabbage with bacon pieces is delicious and super easy to make with a few ingredients, and it goes well with corned beef, roast and grilled meat and poultry. 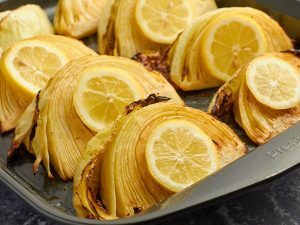 The onions add flavor, and the paprika adds a smoky depth to the dish. Cook bacon in a non-stick pan over medium heat until crisp. Use a slotted spatula to remove the bacon and place it on a plate. Cover with foil and keep in a warm place. In the same pan, add onion and cook until translucent, for around 5 minutes. 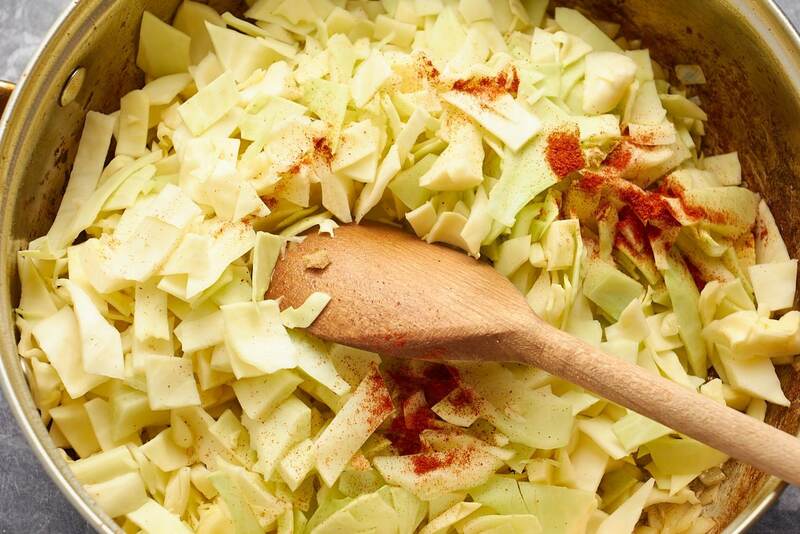 Add cabbage, salt, pepper, paprika and mix everything together. 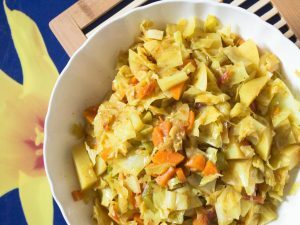 Cook for about 7 minutes or until cabbage is tender. 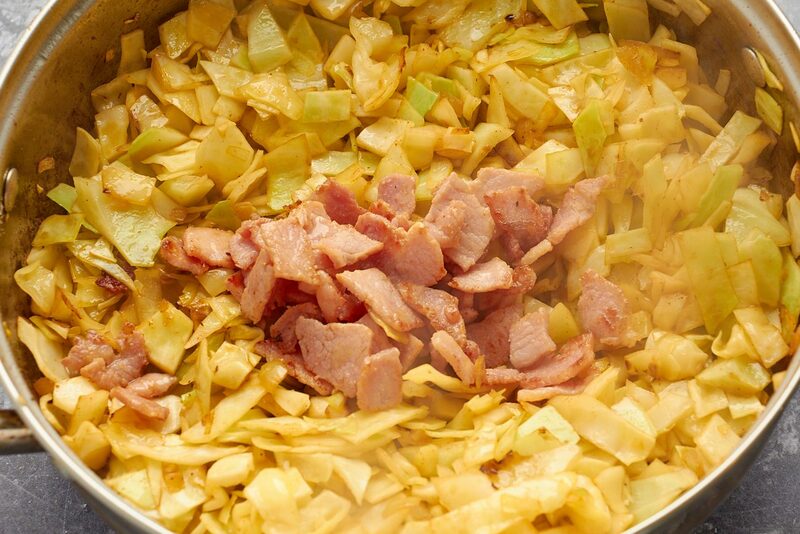 Add bacon back into the pan and mix it together with the cabbage. Use whatever type of bacon you like – regular, turkey or even vegan. Just remember that turkey bacon and vegan bacon are not very oily and additional oil or butter must be added. You can also use chopped sausage instead of bacon. 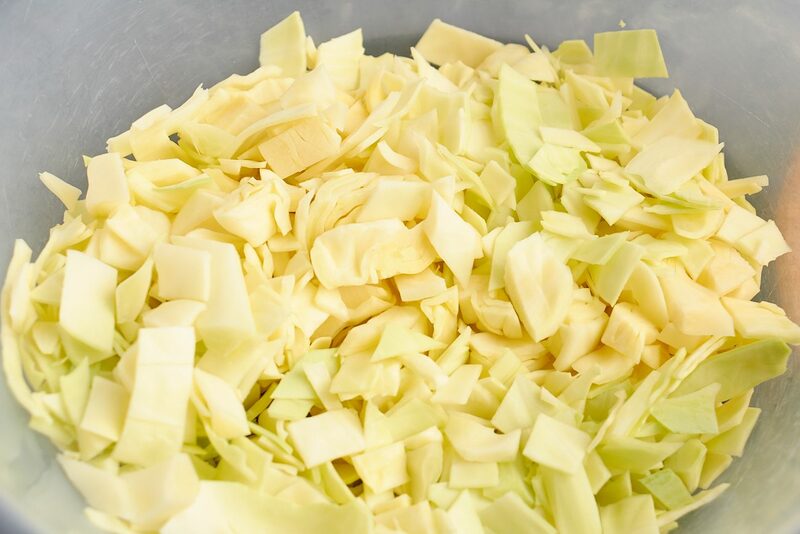 Make sure to finely chop your onions because they blend together much better with the cabbage. 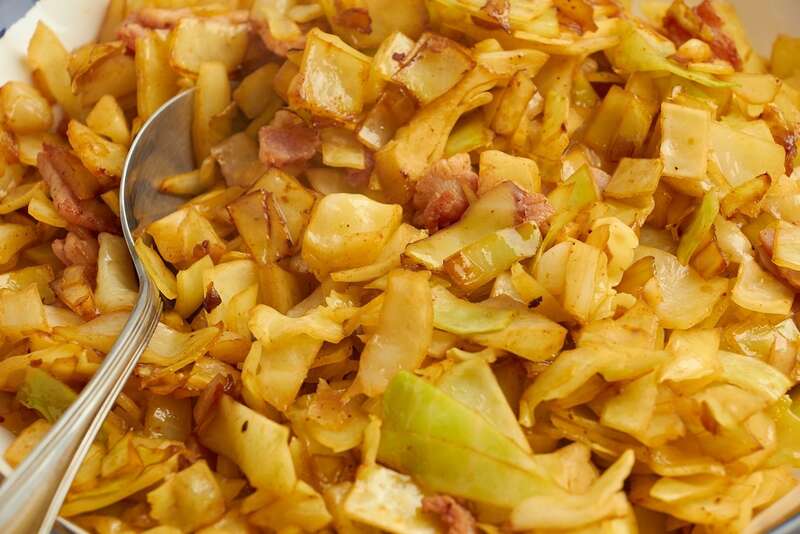 Don’t over-cook the cabbage or else the texture becomes very soft and mushy.